The title of the latest Church album could be taken a couple of different ways, depending on whether you gravitate more toward the hippie or the yuppie lifestyle. For ’60s counter-culture rejects, the phrase Gold Afternoon Fix might conjure images of lazy mid-days spent soaking up the sun and the finest illicit substances from Acapulco. For the more upscale, the words could refer to the stock market term regarding the price of gold, set every afternoon and fixed overnight. In these days of censorial witchhunts and drug paranoia, the title’s misinterpretation could have repercussions. But Church vocalist Steve Kilbey isn’t too concerned whether people equate the title to the financial term or the “Just Say Yo!” approach. Tunes from Gold Afternoon Fix will be the main attraction when the band hits town next Thursday (July 5) for a show at the Commodore, the same venue the band played just more than two years ago. The album was produced in L.A. by veteran Tinseltown session-man Waddy Wachtel, who also twiddled the knobs on Starfish, the group’s sixth and best-selling LP (so far). Kilbey was overjoyed with the results that the former Linda Ronstadt and Keith Richards band-mate came up with this time around. The precision and directness Kilbey refers to is something of a switch for the Aussie band, which built its name on a psychedelic pop full of swirling guitars and soft pastel tones. The Church’s other primary members, guitarists/vocalists Marty Willson-Piper and Peter Koppes, have also recorded solo albums recently, Rhyme and From the Well respectively. But Kilbey doesn’t believe that pursuing musical interests outside the sanctity of the Church would ever lead to the band’s disintegration. 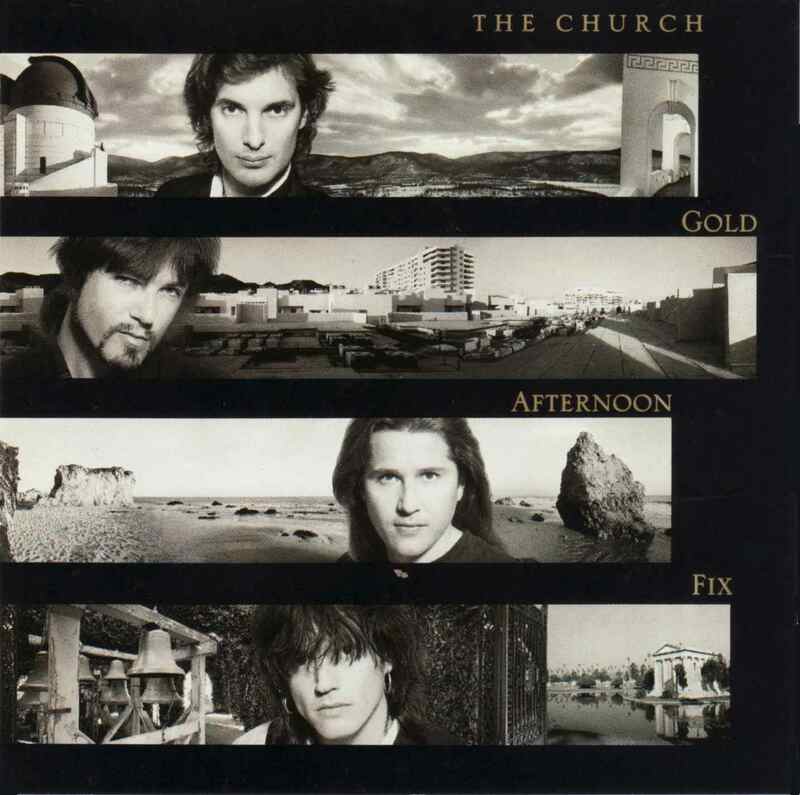 The success of the Church’s previous album, which was egged on by the top-40 success of the slinky single, “Under the Milky Way”, has resulted in the band’s back catalogue being reissued in North America, and archetypal works such as The Blurred Crusade and Of Skins and Heart have found renewed sales in light of the Church’s more recent accomplishments at the till. But the push to mainstream success has meant one major change in the structure of the band. Longtime drummer Richard Plogg called it quits shortly after the recording of Gold Afternoon Fix, and was replaced by former Patti Smith Group drummer Jay Dee Daugherty. Inquiring minds want to know: does the new line-up rock?